The Maadi Psychology Center has serviced both the Egyptian and Expatriate Communities in Egypt since 1980. Maadi Psychology Center was first located at the Community Services Association (CSA) in Maadi and then moved to its new location on Orabi Street in Maadi in 2005 at which time it became affiliated with The Behman Psychiatric Consultancy. The Maadi Psychology Center provides both psychological and psychiatric services for all major psychological and psychiatric disorders. All professional staff have international training and services are provided in English, Arabic and French. 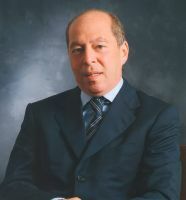 Dr. Nasser Loza, MD, FRCPsych. 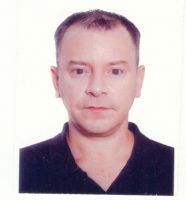 Dr. Loza is a licensed, British trained psychiatrist with over twenty five years experience. Dr. Loza serves as medical consultant to the Maadi Psychology Center. He collaborates with therapists on all medical and psychiatric issues. In addition to his involvement with the Center Dr. Loza is the medical director of Behman Psychiatric Hospital in Helwan. Dr. Loza also holds clinic hours in various areas of Cairo. Dr. Atallah is a Consultant Psychiatrist and Medical Director at the Behman Psychiatric Hospital in Helwan, and Clinical Tutor for the Royal College of Psychiatrists, UK. 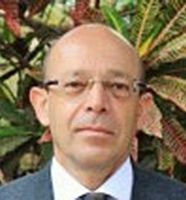 He holds an MSc in Neuropsychiatry from Cairo, as well as the FRCPsych and Board Certification in Psychiatry from the UK. Dr. Atallah has many years of experience, both in the UK and in Egypt, and his interests cover the areas of General Adult Psychiatry, medical treatments of depression, anxiety disorders and chemical dependence as well as psychiatric emergencies. Dr. Malak works as a Specialist in Psychiatry at the Behman Hospital and is an Assistant Researcher at the National Research Center in Cairo. She is a Member of the Royal College of Psychiatrists, UK. Her areas of expertise are Child & Adolescent Psychiatry, Women's Mental Health and General Adult Psychiatry. 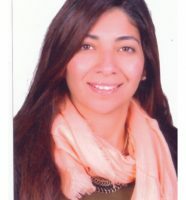 Dr. Malak obtained her MBBCh and MSc from Kasr el Eini, Cairo University, and trained there as a resident in Psychiatry. Dr. Malak is an international member of the American Psychiatric Association. She has done clinical attachment training at the Maudsley Hospital, King's College London and at the Priory Hospital, UK. Consultations are done in both English and Arabic. Sharon has been working in clinics in Egypt since 2010 and is a British trained counsellor. She has extensive experience of working with adults and young people of many cultures including European and Indian culture. She is trained in individual, group, family and couples therapy. She also lived in Saudi Arabia for 5 years helping her to become familiar with Middle Eastern culture. Sharon specializes in eating disorders, addiction issues and trauma. Dr. Anne is an American Clinical Psychologist living and working in Cairo since 2007. She obtained her doctorate in Clinical Psychology at the University of Rochester in New York and is a member of the American Psychological Association. Dr. Anne specializes in the treatment of depression, anxiety, stress, adjustment, personality disorders (including Borderline Personality Disorder, cutting and self-injurious behaviors), as well as sexuality and relationship intimacy. Dr. Anne conducts neuropsychological assessments and assessments of Attention Deficit/Hyperactivity Disorder (ADHD). She conducts individual, couples, and group therapy with adolescents and adults. Dr. Anne works with several therapeutic models including Psychodynamic, Dialectical Behavior Therapy (DBT), Cognitive Behavior Therapy (CBT), and Eye Movement Desensitization and Reprocessing (EMDR). Therapy is conducted in English. 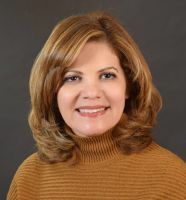 Dr. Mona received her master’s degree (MA) from the American University in Cairo in 1996 and her doctorate (PhD) in 2004. She specialized in addiction and substance abuse. Dr. Mona mainly treats adults suffering from anxiety, depression, as well as addiction, and adults who need marriage counseling. She masters and uses cognitive behavioral therapy (CBT) and psychoanalytic techniques in her therapy depending upon the need of the individual patient. Dr. Mona has more than 20 years of experience in treating clients in both hospital settings and out-patient clinics. She has worked with clients from both Middle Eastern and Western cultural backgrounds and conducts therapy in either Arabic or English. Monda is an Australian-licensed child and adolescent psychologist, with a Masters degree from the University of Western Sydney, Australia. She is a member of the Australian Psychological Society. Having worked in Sydney and Egypt, Monda provides psychological services for children and adolescents with academic, behavioural, and/or emotional difficulties: ADHD, depression, anxiety, bereavement and learning difficulties. She also conducts comprehensive developmental and cognitive assessments for children and adolescents. Monda uses Cognitive Behavioural Therapy (CBT) infused with art and play techniques that are suitable for each age group. Her approach relies heavily on parental training with a special focus on building positive attachment. She is fluent in both Arabic and English. Dr. Sandy Tahan ,DEdPsy. has worked for the past fifteen years as an Educational Psychologist in Egypt. She has completed a bachelor's degree in the field of psychology at the American University in Cairo, a Master's Degree as a School Psychologist at the University of British Columbia in Canada, and a doctorate degree in Educational Psychology at the University College London in The United Kingdom. Dr. Tahan has received a great deal of training in the integration of assessment and intervention for school-aged children experiencing learning difficulties. In Canada, she participated in research related to early literacy skills, assisted schools to determine eligibility for special education services, maintained an up-to-date test library of standardized tests, and completed a practicum involving several psycho-educational assessments. Through her studies in the UK, she researched the relationship between early literacy skills and bilingual children, in addition to, developing assessment measures to assess children learning in both Arabic and English. Her research highlighted the importance of improving assessment materials in order to identify bilingual children struggling with literacy skills at an early stage. 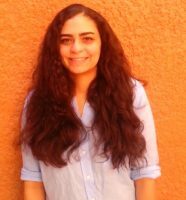 Maira pursues her master’s degree (MA) in Counseling Psychology at the American University in Cairo (AUC). She has also received her training in Ericksonian Hypnosis at the Milton H. Erickson Foundation in Pheonix, Arizona. 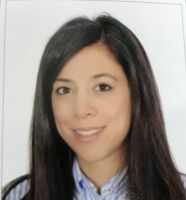 Maira is an associate member in the American Psychological Association (APA).She has worked in both in-patient and outpatient settings and provides therapy for serious mental health problems such as depression, anxiety, addiction, and post-traumatic stress disorder. Her chief role was to facilitate group therapies at the Behman Hospital.Currently, she is the Head of Outpatient Psychology Services at Behman Hospital in Helwan. Maira has experience dealing with both the Arab and western cultures. She has worked with young people and adults who are experiencing difficulties with quality of life issues such as self-esteem, marital conflicts, interpersonal problems and stress management. She conducts therapy in both English and Arabic. Maira adopts various therapeutic modalities mainly psycho-dynamic, cognitive, and attachment-based theory. She also utilizes hypnosis to access unrecognized human potentials and resources for facilitating change. 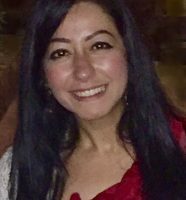 Mariham is an Egyptian/American psychotherapist, with a master’s degree in Counseling Psychology from Wayne State University, USA and a graduate credential in School Psychology from California State University, USA. Mariham has experience working at different schools, in the United States. 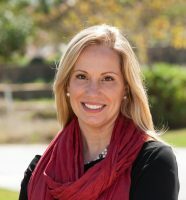 As a school psychologist, she has worked with children and adolescents with various neurological, developmental, learning, behavioral, and social/emotional difficulties. Mariham conducts comprehensive psychoeducational assessments, provides appropriate interventions, and offers awareness programs. 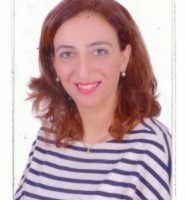 As a psychotherapist who worked in the United States and Egypt, Mariham easily relates to and communicates with clients from both Middle Eastern and Western backgrounds.Her therapeutic approach combines Cognitive Behavior Therapy (CBT), Psychodynamic, and Solution Focused Therapy depending upon the needs of the client. Mariham provides psychological services for clients with depression, anxiety, poor self-esteem/image, grief, trauma, stress, poor social/ communication skills, relationship conflicts, and adjustment problems. She conducts therapy in English and Arabic fluently. Tim is a dedicated Behavior Specialist with passion and understanding of children with communication/socialization difficulties, ASD (Autistic Spectrum Disorders), behavioral concerns, feeding issues (i.e. food selectivity) and various developmental delays. His qualifications and experience in Canada and Dubai over the past 15 year shave enabled him to implement developmental plans to suit the individual needs of each child. Tim graduated with honors from the University of Toronto with a B.Sc. in Psychology and became a member of the Golden Key International Honour Society as a result of this achievement. Since receiving ABA (Applied Behavioral Analysis) training in 2003. Tim has developed an insightful understanding of childhood development intervention with a special focus on ASD. After receiving AEPS (Assessment, Evaluation and Programming System) certification in 2008, Tim has focused on training teachers, parents and caregivers to enhance a child's development within their natural environment. As a Behavior Analyst working in Dubai for the past 11 years (in both private and governmental organizations), Tim has created, implemented, monitored, and reviewed developmental intervention programs for children with special needs (especially those affected by ASD). Yasmin is a Canadian-trained Registered Psychotherapist and Marriage & Family Therapist. 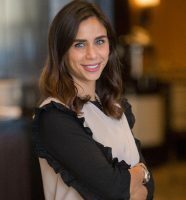 With a Master of Arts in Marriage and Family Therapy and a BA in Psychology, Yasmin is passionate about assisting individuals, couples, and families overcome their struggles by working with their unique strengths. Yasmin is an Associate Member of the Canadian Association for Marriage & Family Therapy and is trained in multiple therapeutic models, including Cognitive-Behavioral, Emotionally-Focused, and Solution-Focused. 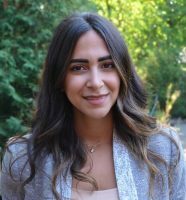 Yasmin began her career working with individuals in private practices and psychiatric facilities in Egypt and continued her education and clinical training in Canada and the US. Her breadth of experience both clinically and culturally allows her to effectively work with individuals from diverse backgrounds. Yasmin works gently and compassionately and uses clinically tested and evidence-based interventions to enhance relationships and overcome personal obstacles. She can help clients impacted by various issues, including: depression, anxiety, grief/loss, low self-esteem, infertility, divorce, life transitions, career stress, family & relationship conflict, intimacy issues, trauma, and infidelity. Yasmin strives to help her clients explore ways to make positive changes in their lives that will empower them and instill hope for the future. Sara joined The Behman Hospital Psychology Department in 2012. She completed her BA in Clinical Psychology at The American University in Cairo (AUC) in 2012. Sara obtained her MSc in Trans-Cultural Mental Health from Queen Mary University of London (QMUL) in 2015 and is a Graduate Member of The British Psychological Society (BPS). She has also completed an MSc in Clinical Mental Health Sciences at University College London (UCL) in 2018. Sara is currently Head of the Psychology Department at The Behman Hospital and provides psychotherapy and psychological testing and assessments for inpatients and outpatients. She is also in-charge of all psychology related training programs at The Behman Hospital. Sara uses an eclectic approach in therapy with patients and specializes in adult mental health with a focus on cultural issues that shape mental health and well-being.